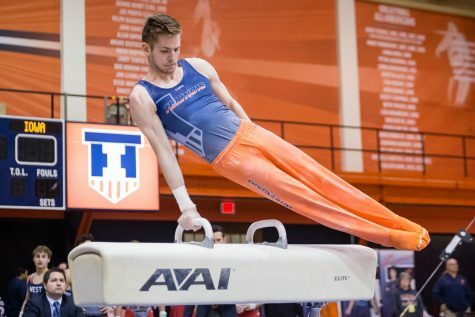 Alex Diab is this week's chosen Illini for his skill and work ethic. 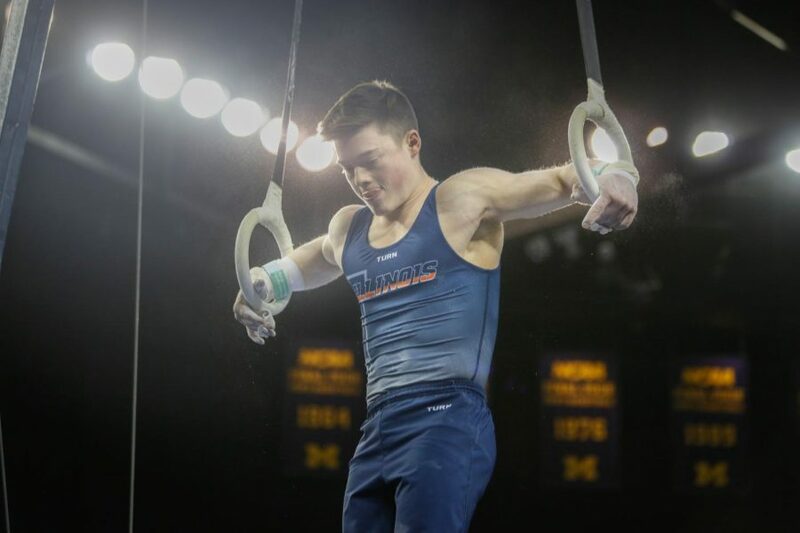 His second place finish in the still rings event of the Big Ten gymnastics championship helped bring the Illini to a triumphant championship win. Athletic talent cannot be bought; it is given. 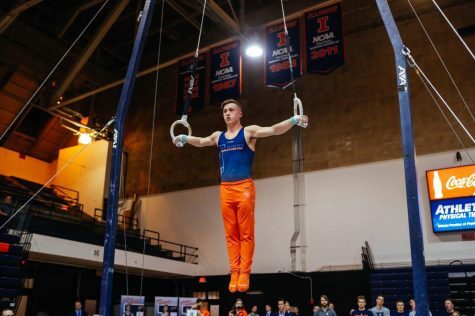 For Illinois gymnast Alex Diab, this idea is ingrained within him by his coach, which Diab then passes down to his teammates as well. 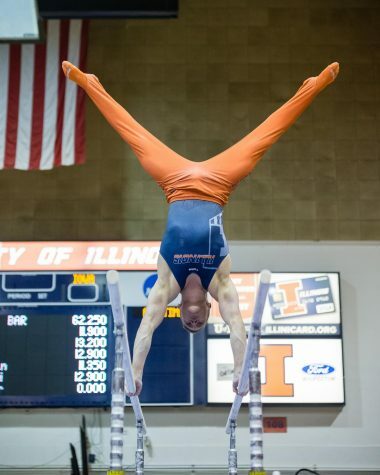 The Illini men’s gymnastics team captured the Big Ten championship on Friday with a team total of 413.900. 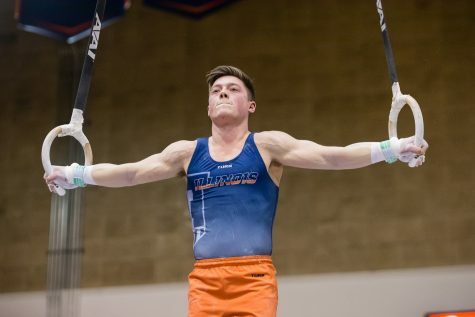 According to Diab, part of Illinois’ triumph is attributed to the work the team put in while others were on spring break, which re-focused the team and propelled it to its success. 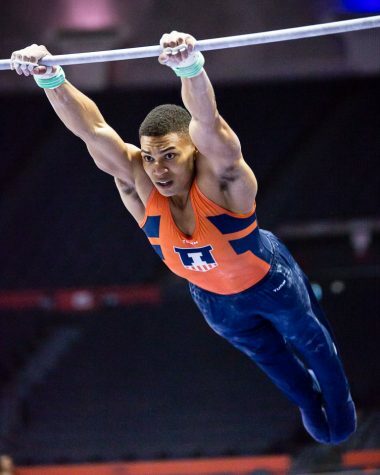 Diab’s 14.650 second-place finish in the still rings event was one of the main catalysts of the Illini victory. He went on to be named a member of the All-Big Ten first team the following day. 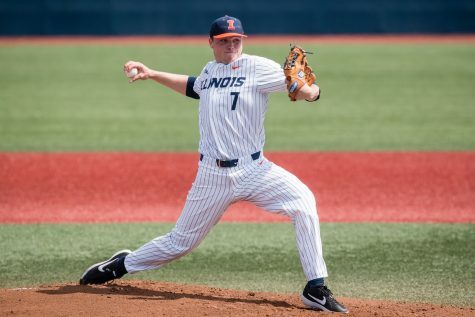 Illinois head coach Justin Spring knows he has a talented athlete on is hands, whose work ethic could push him as far as he lets it take him. Saturday was just another example. 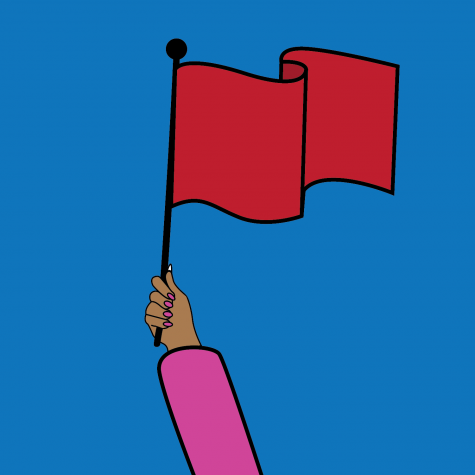 Diab doesn’t just show up and perform; he puts in hours beforehand honing his craft. Since his arrival on campus, Spring has noticed his strength in more ways than one. He said that Diab not only possesses great physical strength, but also has the mental strength to continue to work hard in practice. 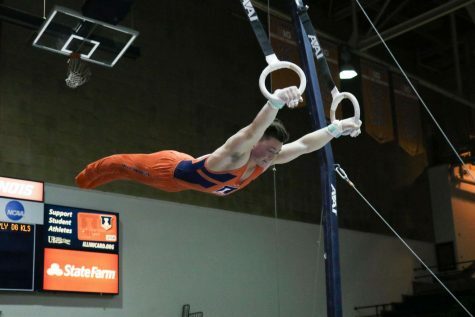 Other strong Illini performances came from Brandon Ngai, who scored a 15.000 to win the pommel horse event title, and Tyson Bull, who took home the high bar event title with a score of 14.850. Spring tabbed Diab to be team captain in large part because of his confidence in Diab to both set the standard and hold his teammates accountable. 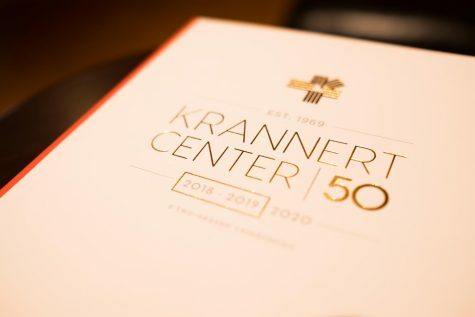 “Lead by example in the gym and help push and motivate the guys to be better every day, and making sure the team stays focused during the competition is a big part of it,” Diab said. During postseason play, nerves can start to get the best of some, but Diab doesn’t let that affect him. While others might have some special pregame routine to prepare for the high stakes, Diab simply pictures himself being successful, then goes out and does it. 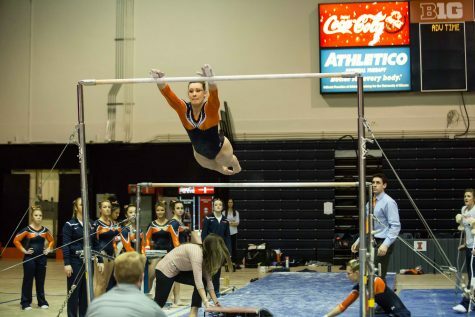 “I usually visualize my routine one team through before I go out and do it, but other than that, I don’t do anything weird or special,” Diab said. 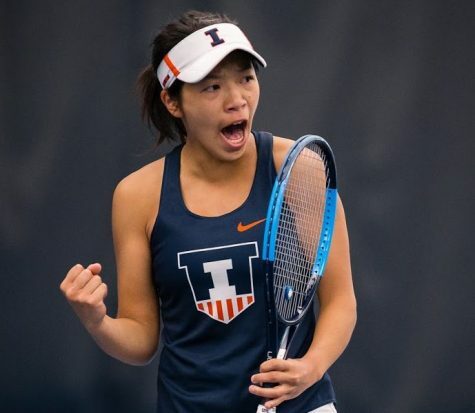 Looking ahead, the Illini are slated to compete in NCAA championship qualifiers on April 20. 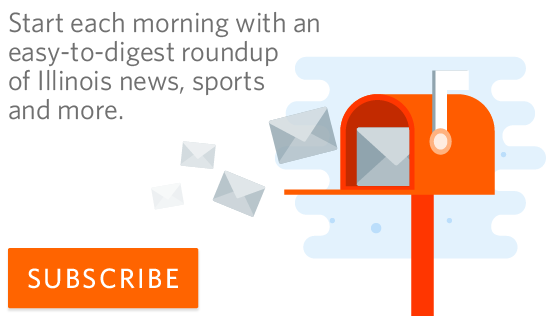 With the event being held in Chicago, the Illini are hoping to capture home atmosphere momentum. Diab feels that if he captures the same momentum he did at the Big Ten championships, the team can ride the wave all the way to the pinnacle of collegiate athletics. 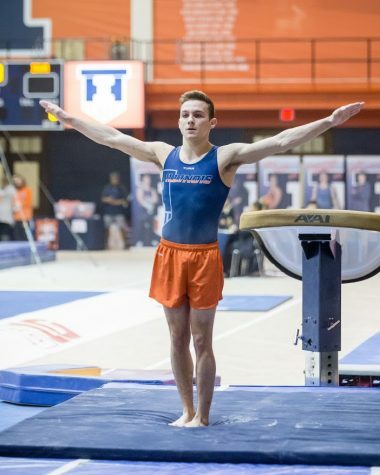 While Diab and the Illinois men’s gymnastics team try to stand out from the rest, Spring looks at his team a bit differently than the rest.